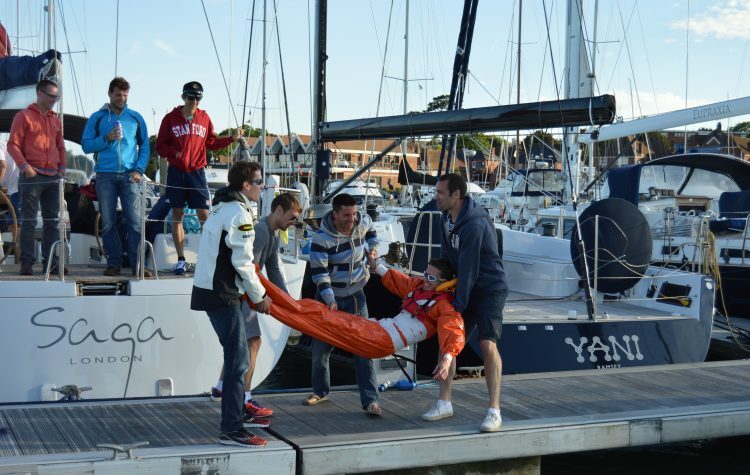 This is the package for those who want to be remembered as the best Best Man ever. 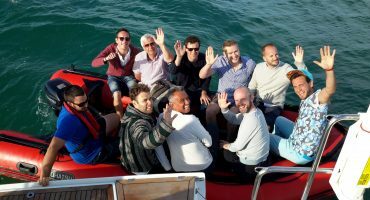 Voted the #1 yacht stag experience in the country, this is a VIP experience like none other with our stunning 80 foot luxury superyacht placed entirely at your disposal, plus all of her numerous toys including fast ribs, hostesses and VIP treatment . 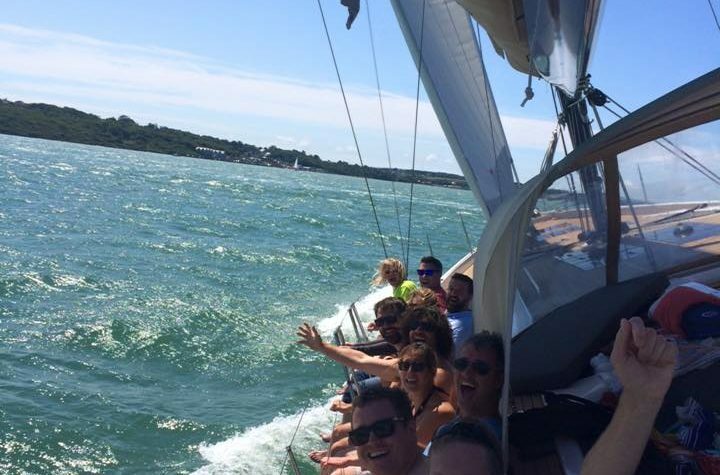 Saturday nightlife options include Cowes, Yarmouth, Sandbanks and Gunwharf Quays. 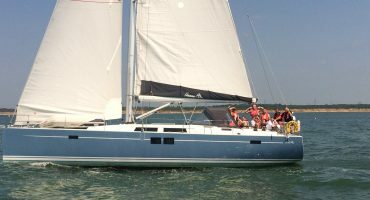 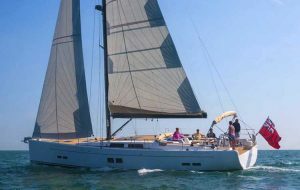 Voted best large charter yacht experience in the Solent. 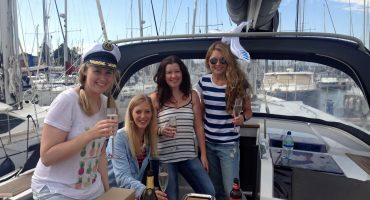 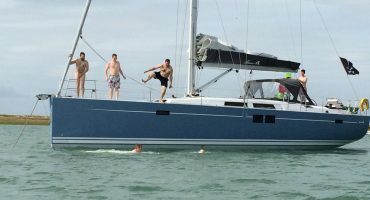 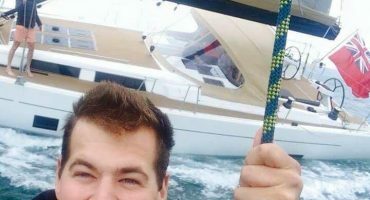 Treat your stag to the ultimate send off by chartering this 54 foot luxury yacht for an unforgettable weekend. 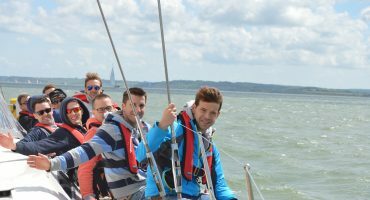 Visit all the top Solent hotspots, refine your sailing skills with spinnaker training from our expert skippers or just enjoy the toys which Include a support rib, jetski and onboard BBQ. 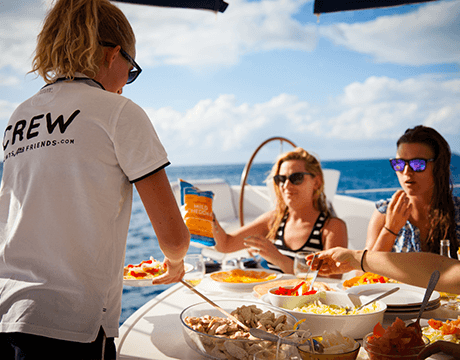 Add our sister yacht for the ultimate two yacht VIP weekend. 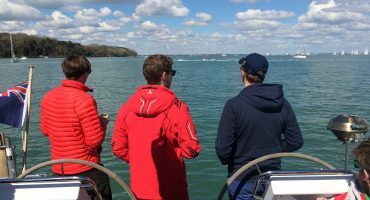 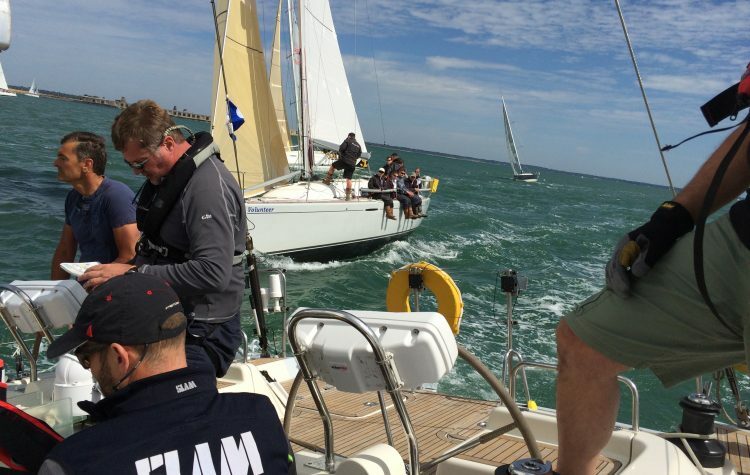 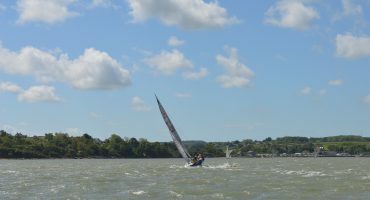 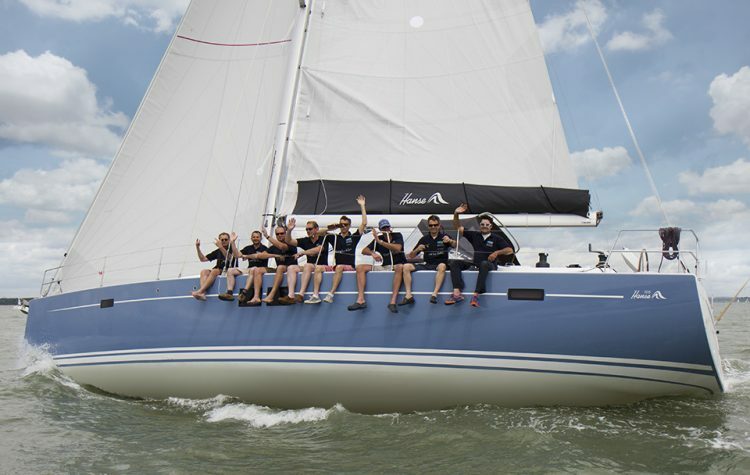 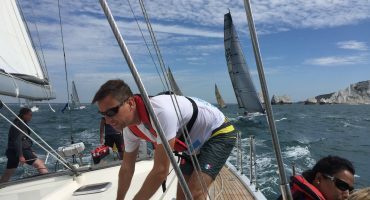 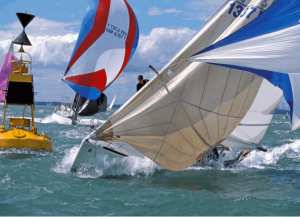 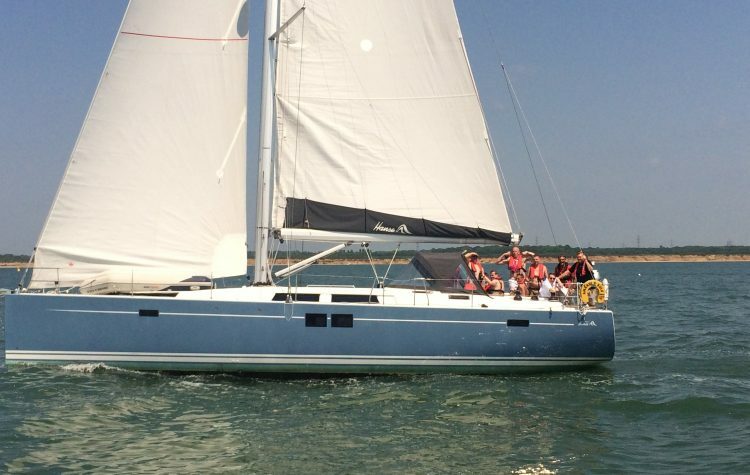 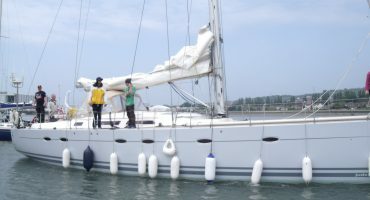 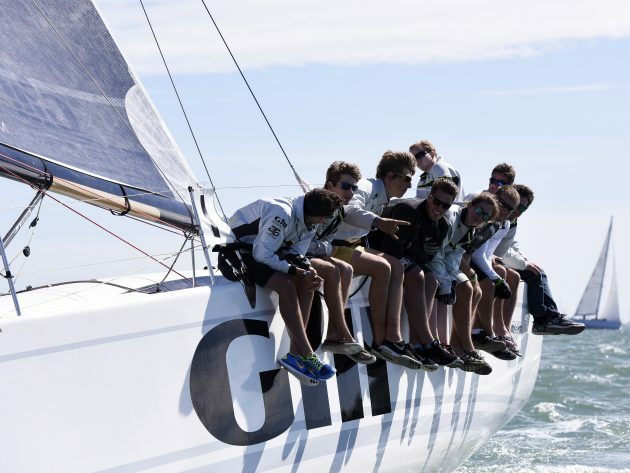 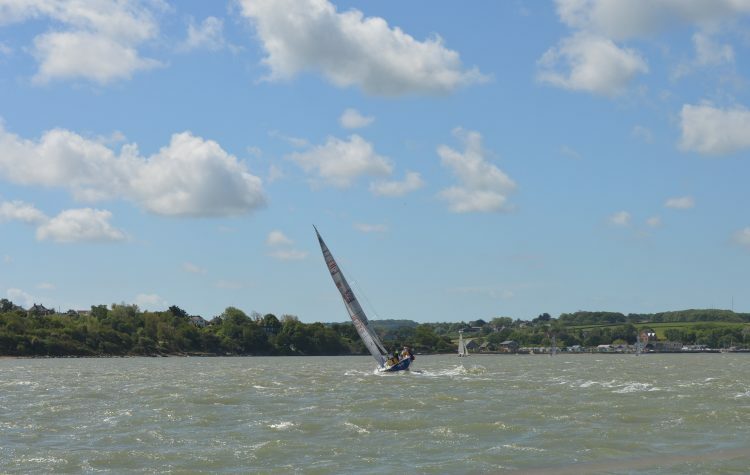 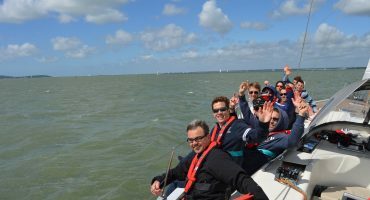 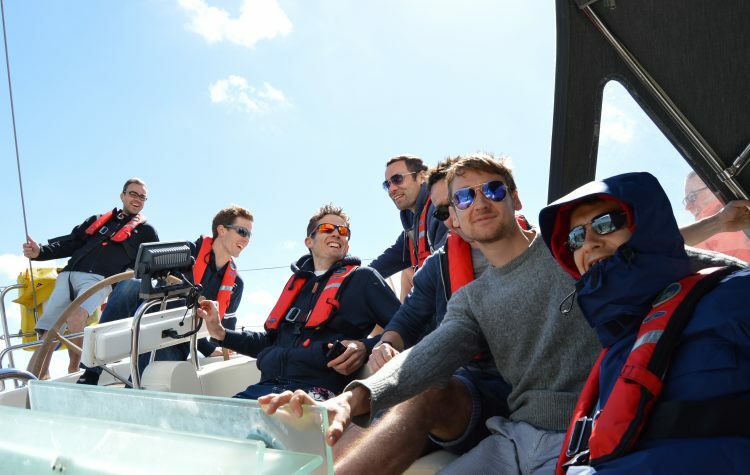 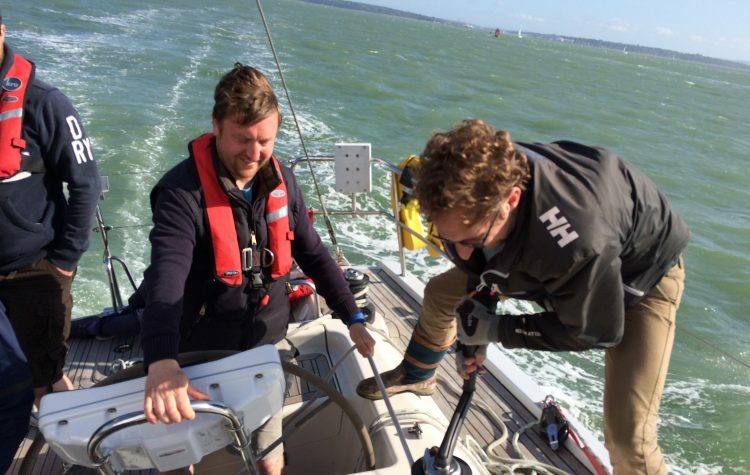 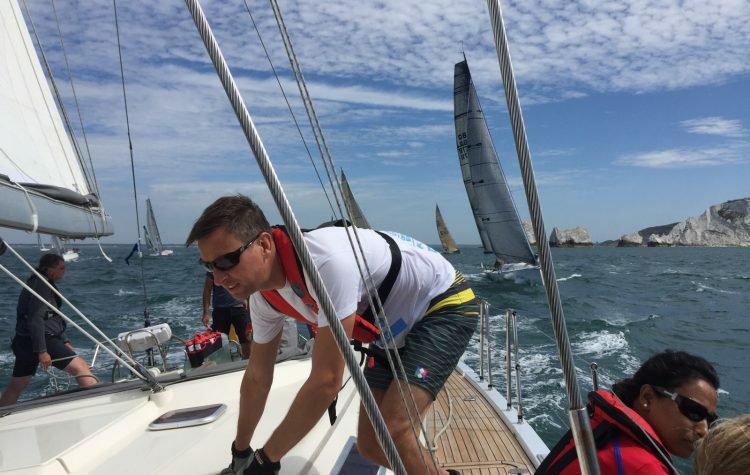 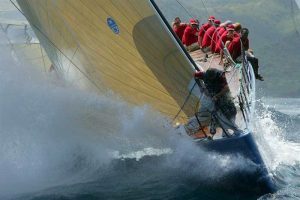 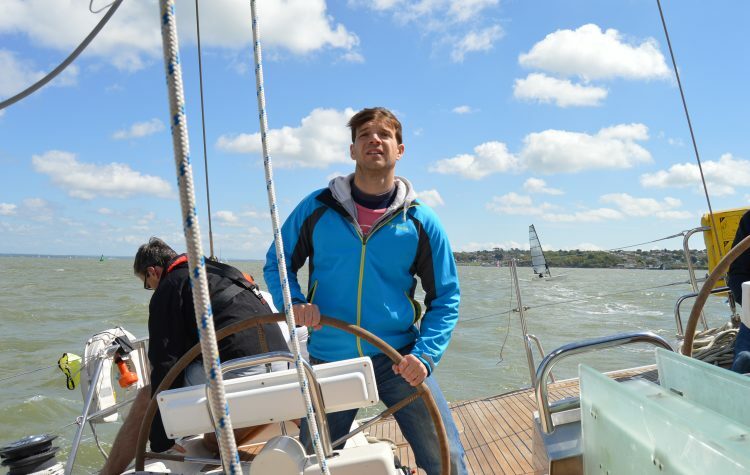 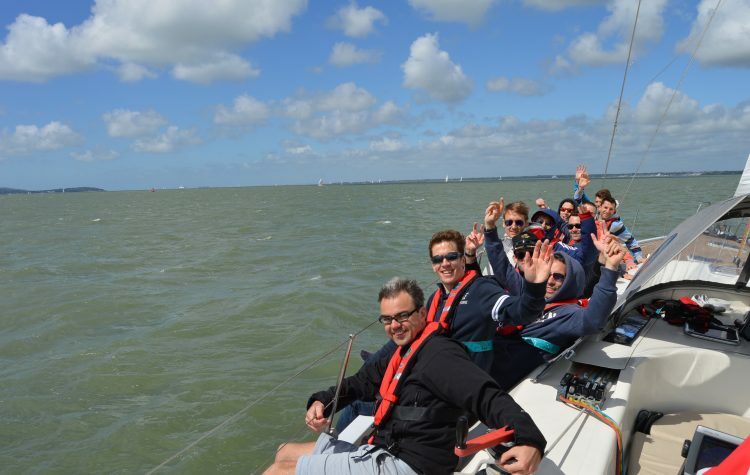 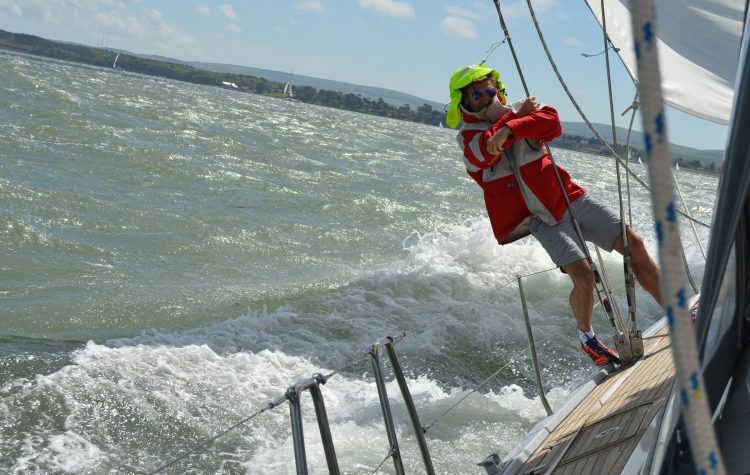 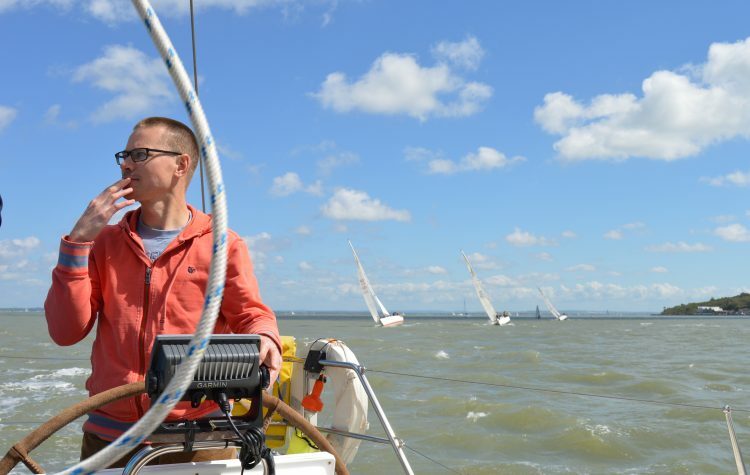 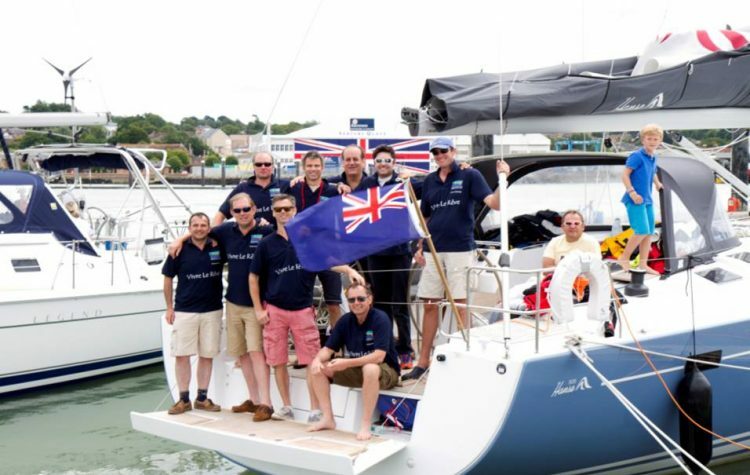 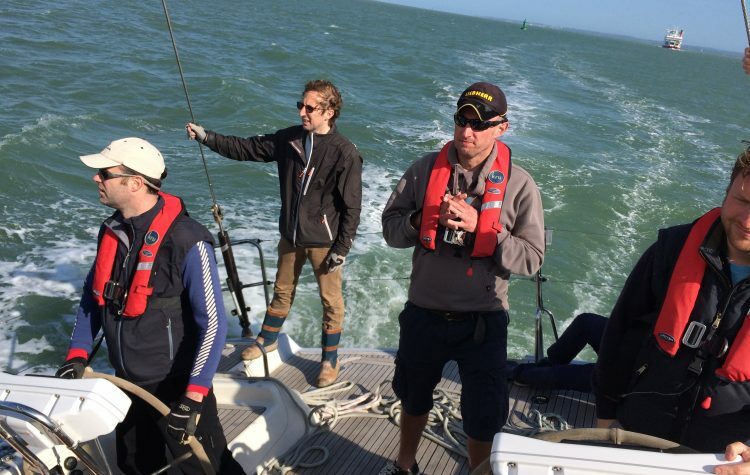 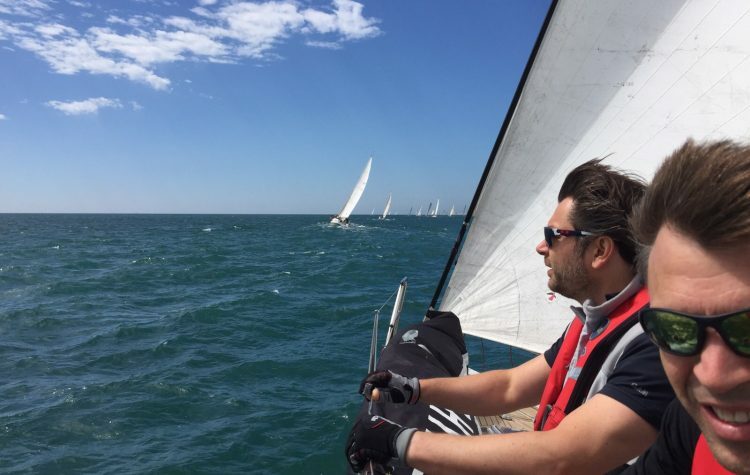 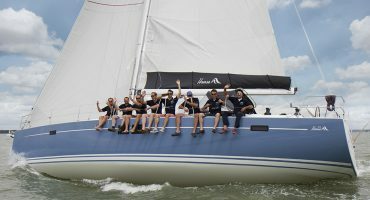 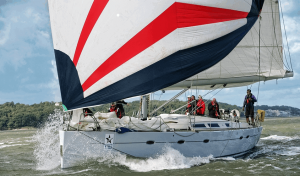 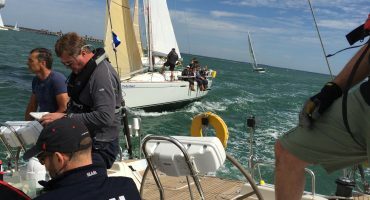 Go for Gold with our two yacht racing package and let us race you around the Solent, or incorporate one of the many international Yacht Racing events in the Solent such as the JP Morgan Round The Island Race or world famous Cowes Week. 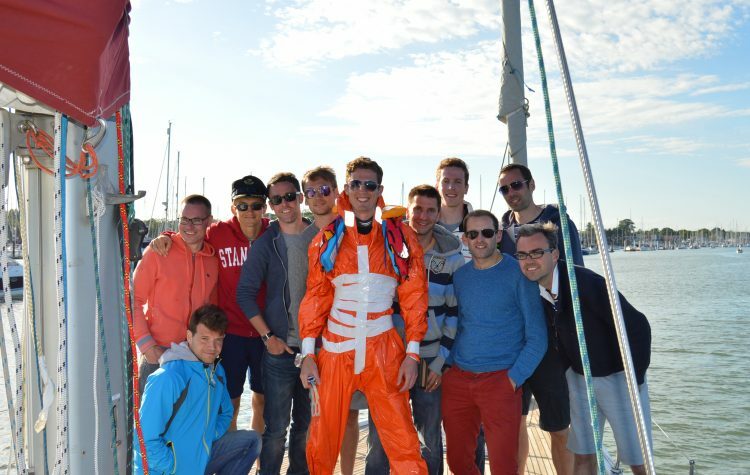 For the ultimate adrenaline fuelled stag do. 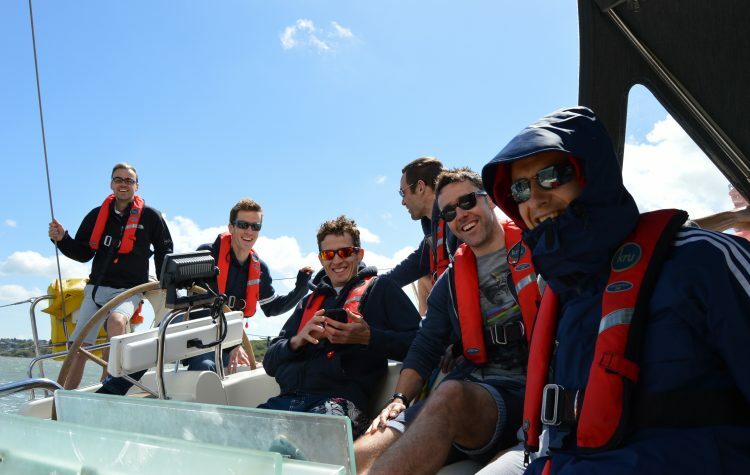 Treat your mates aboard our high performance racing machines. 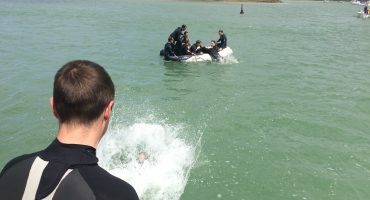 Want a stag do that is more than an event, then why not make it make it a truly unforgettable adventure with this all inclusive trip to upmarket Deauville in France a Horse Racing, Polo and Casino town. 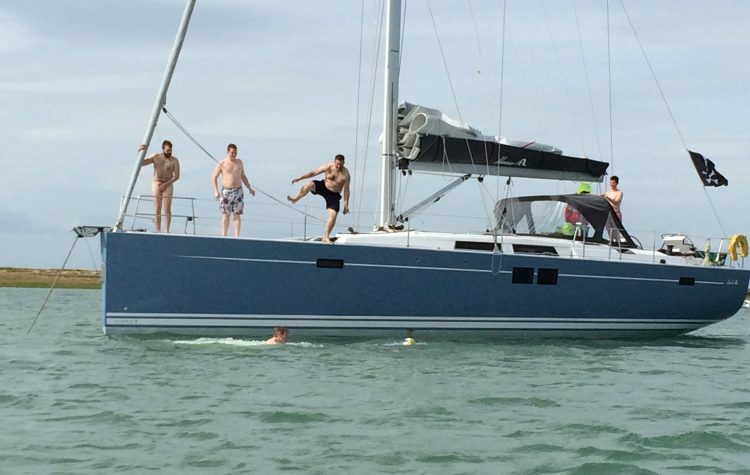 Debauchery for the discerning man is provided when you hire this elegant traditional yacht. 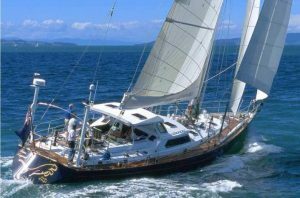 You’ll feel every inch the distinguished gentleman when you step aboard this classic Swan yacht meticulously restored to it’s original sumptuous set up. 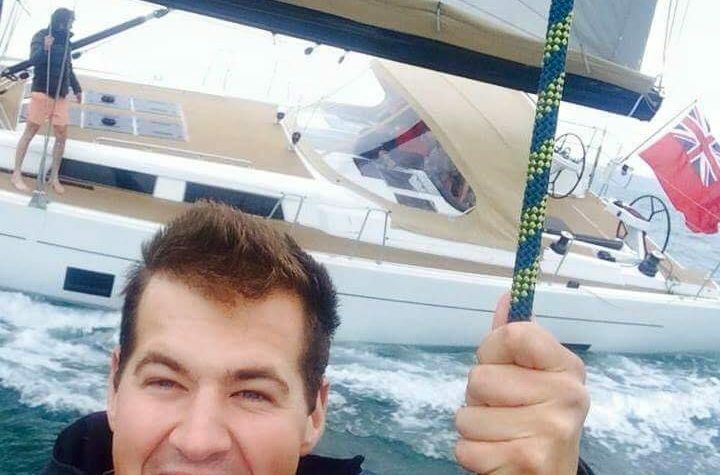 Just don’t forget the cigars. 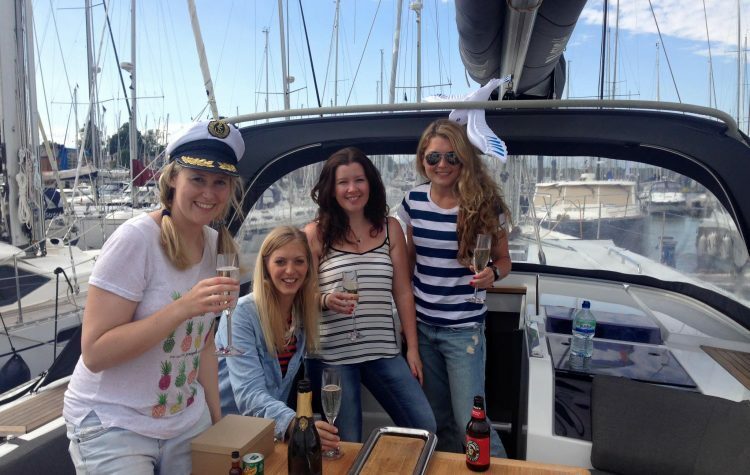 Treat the girls to an unforgettable weekend with our hen do package. 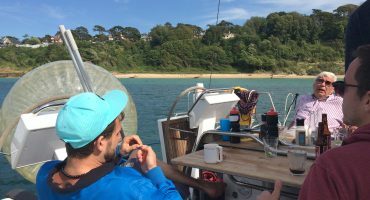 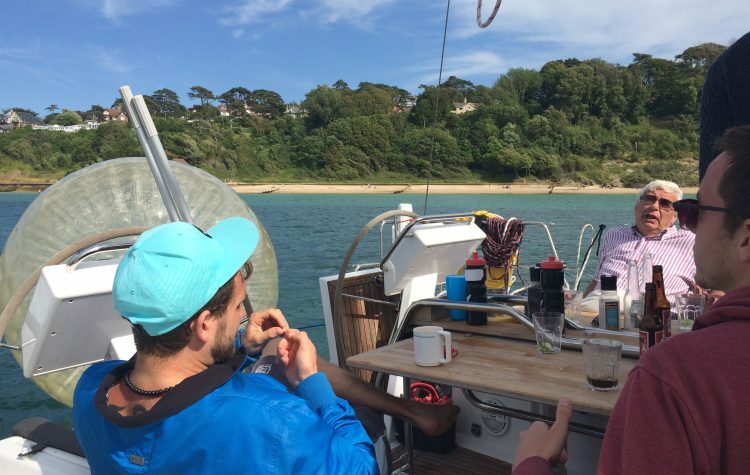 Sun, sea, sailing and whatever else you fancy getting up to along the way. 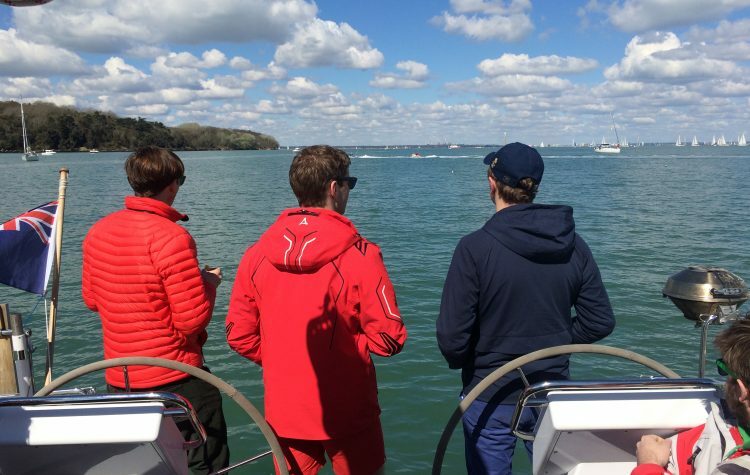 We’ll help you explore the millionaire’s playground of the Solent and take you to all the most exclusive yachting hang outs. 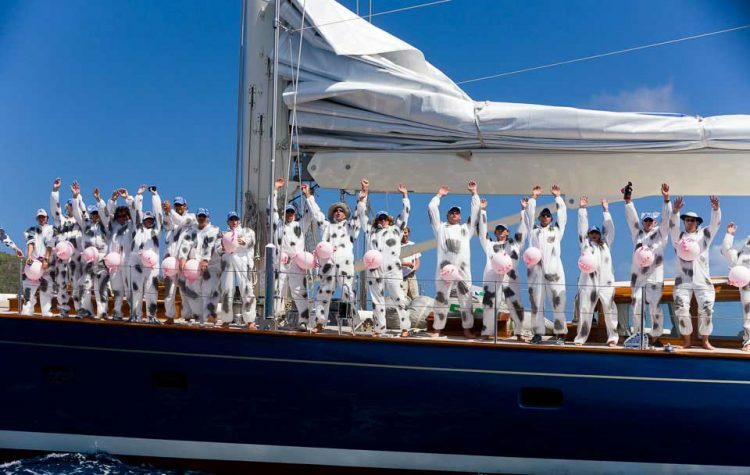 Our crew and hostesses will also ensure that you feel like royalty wherever you go. 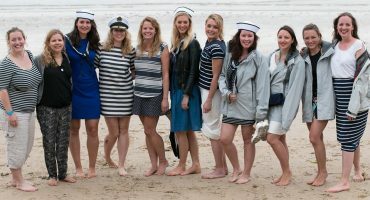 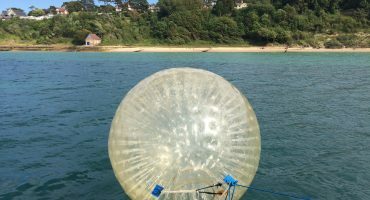 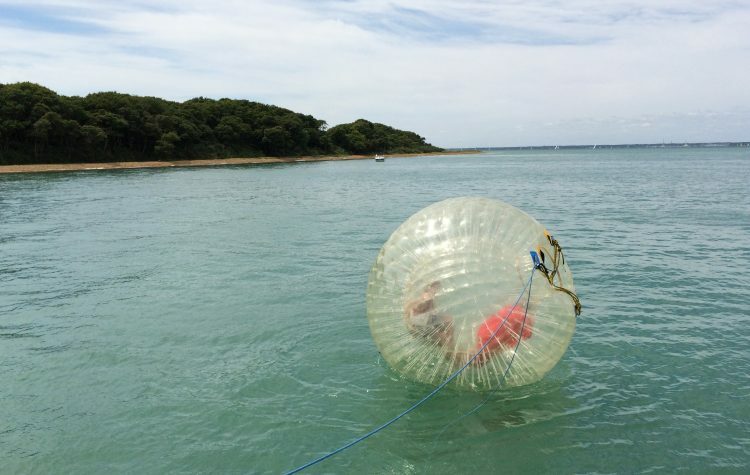 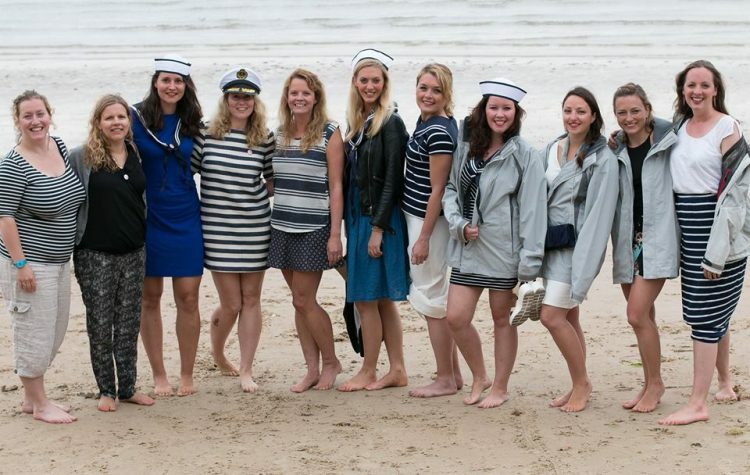 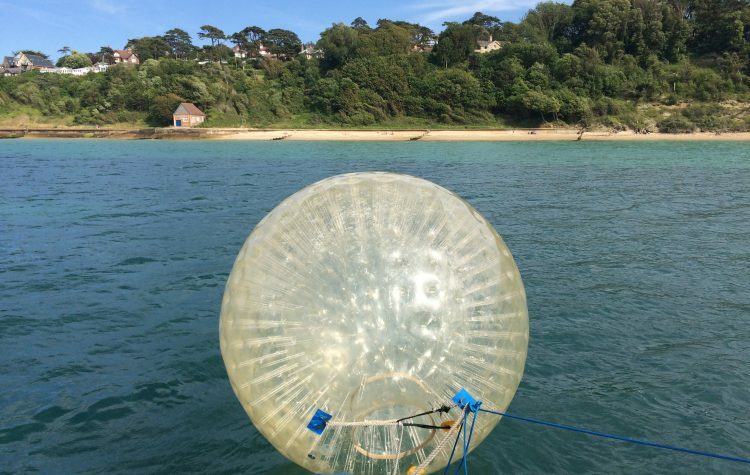 This is a hen do with a difference. 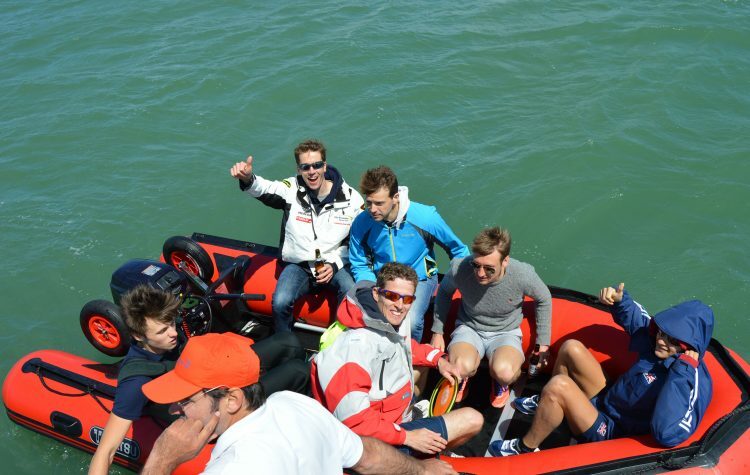 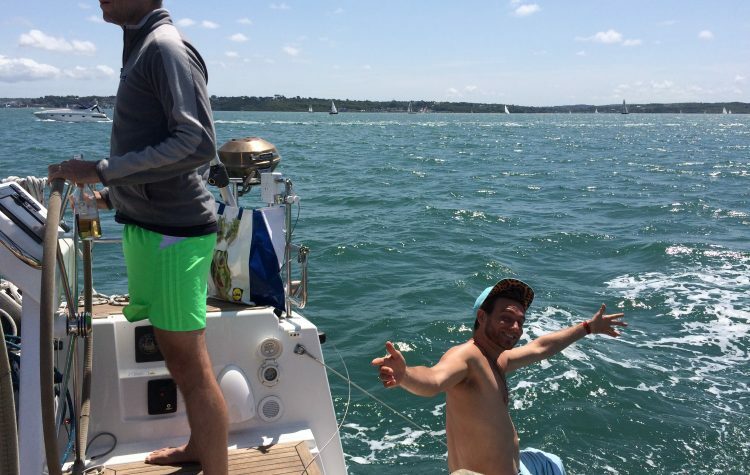 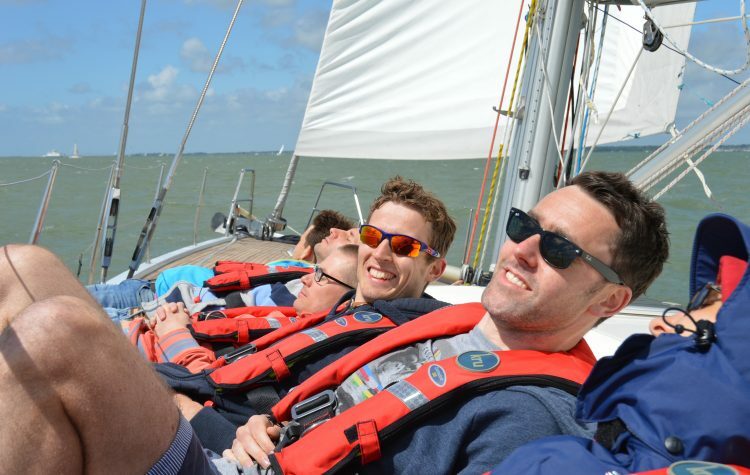 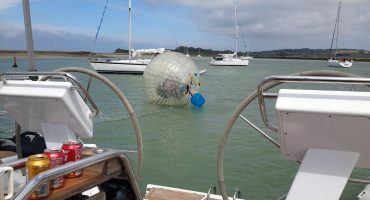 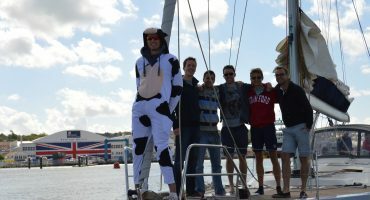 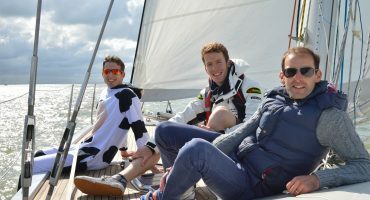 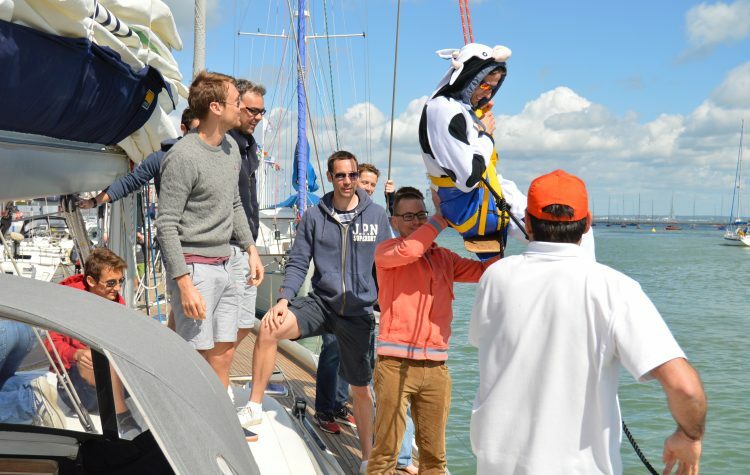 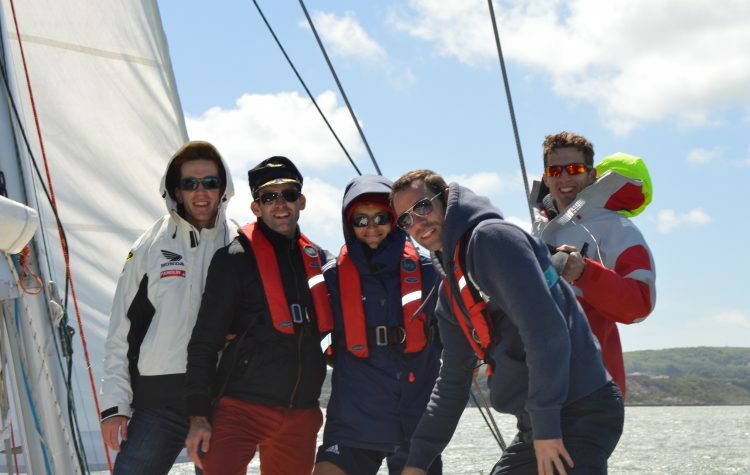 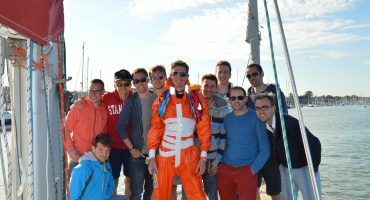 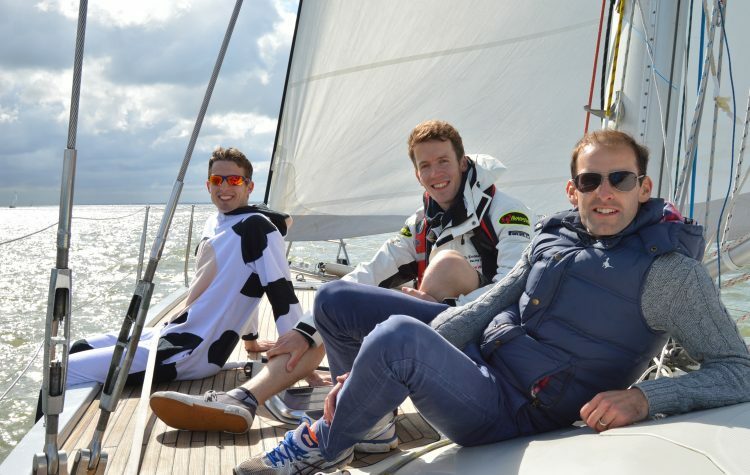 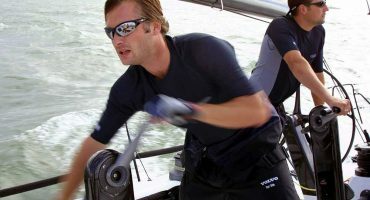 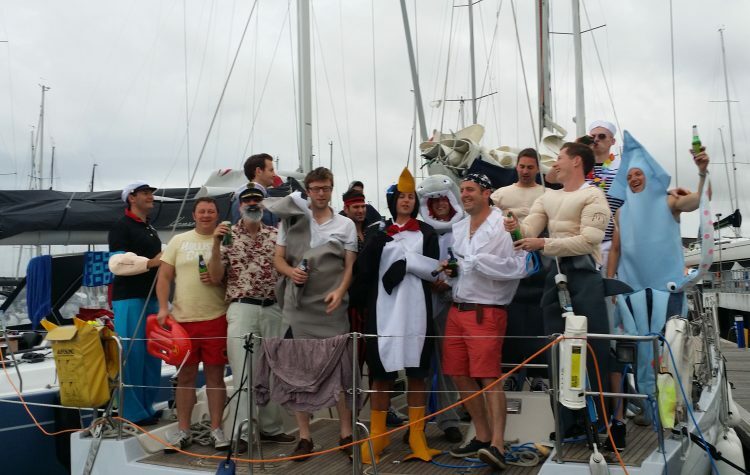 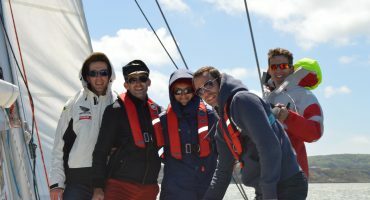 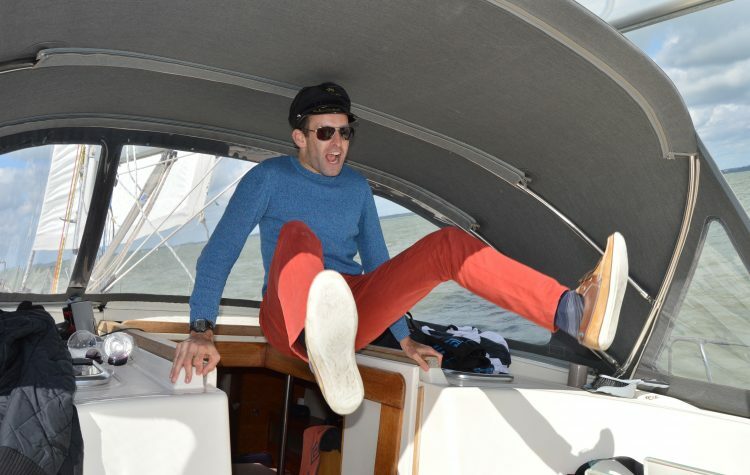 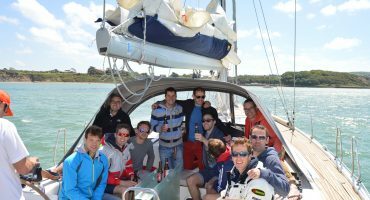 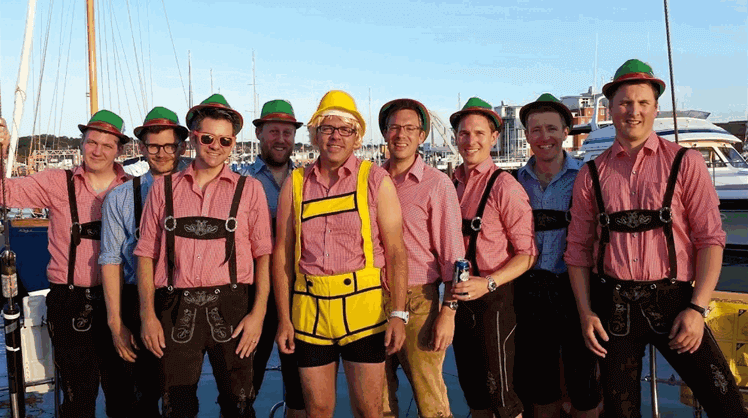 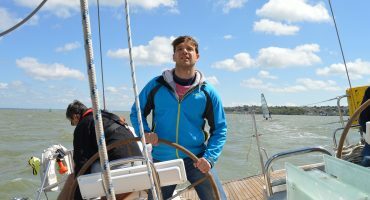 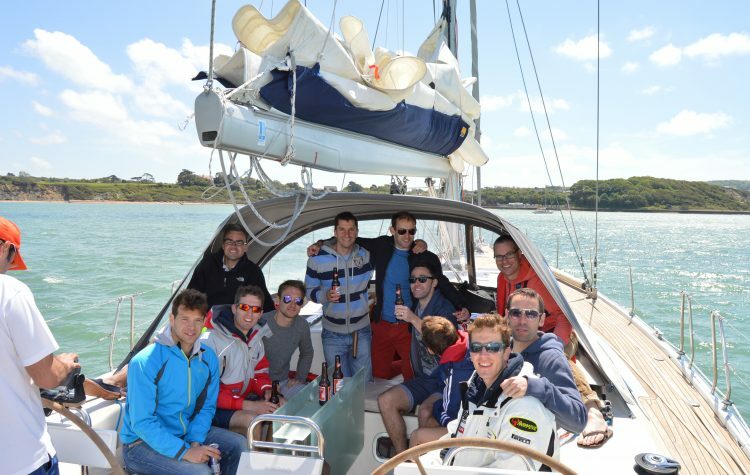 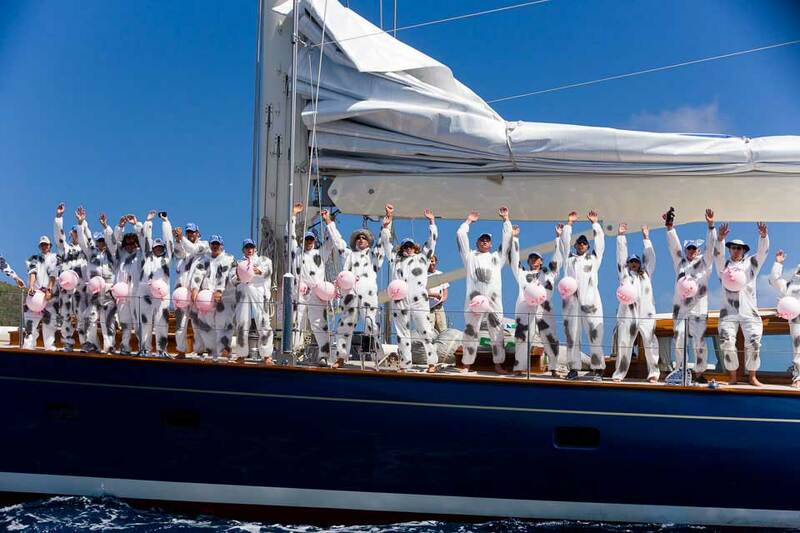 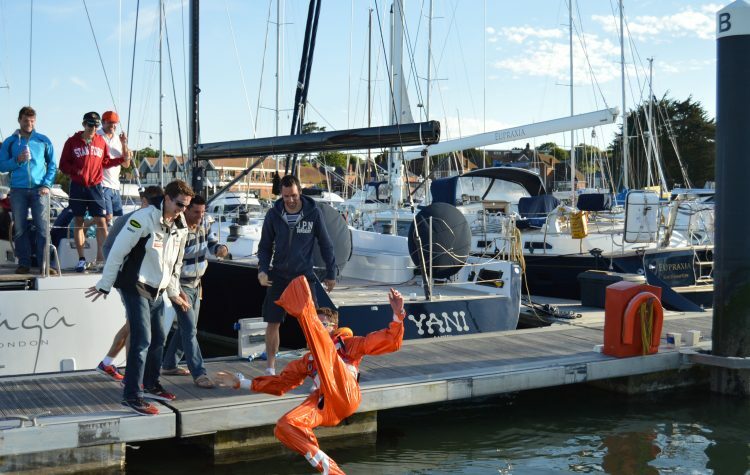 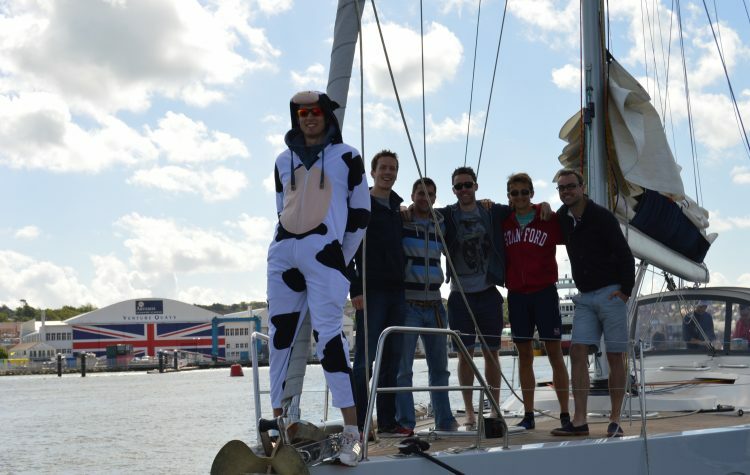 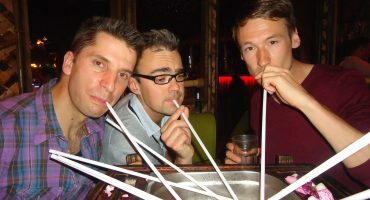 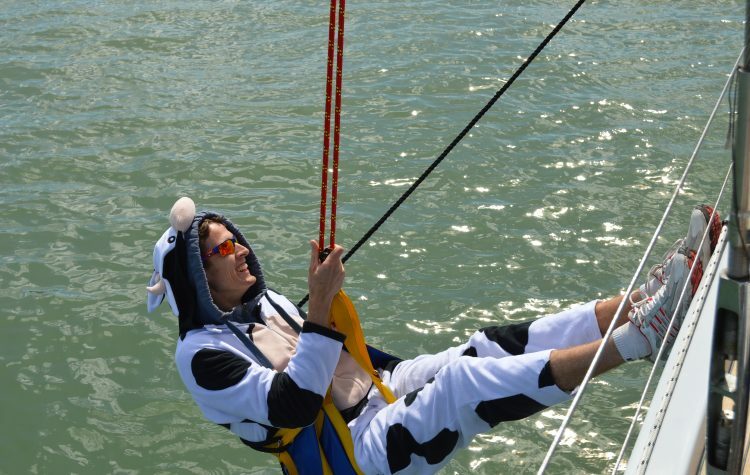 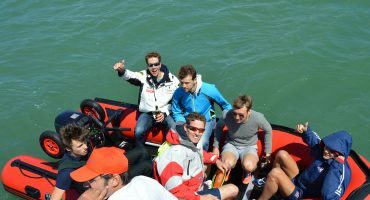 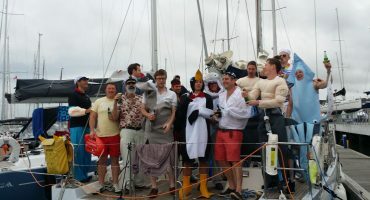 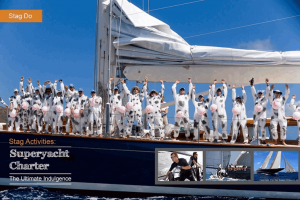 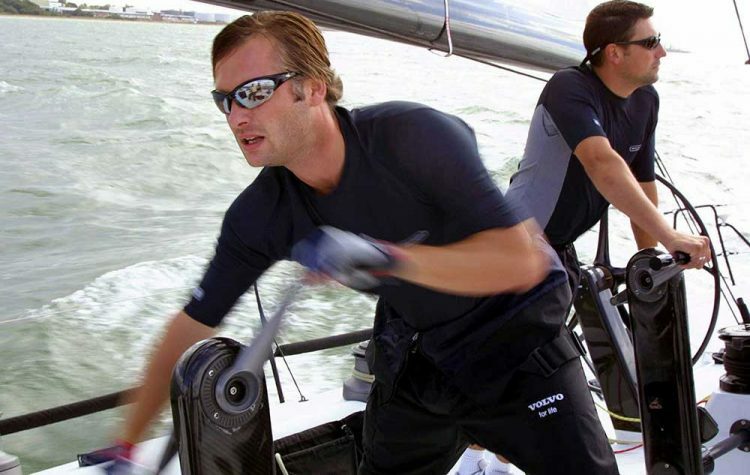 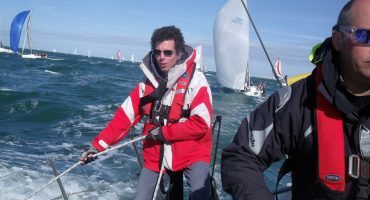 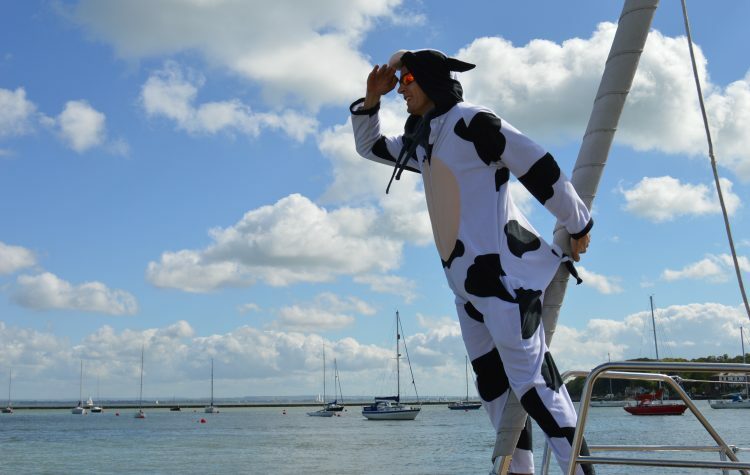 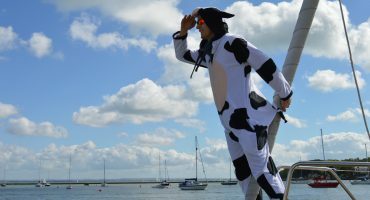 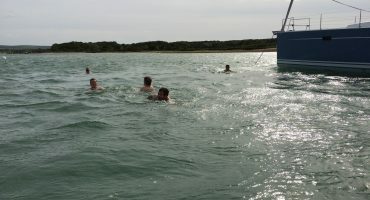 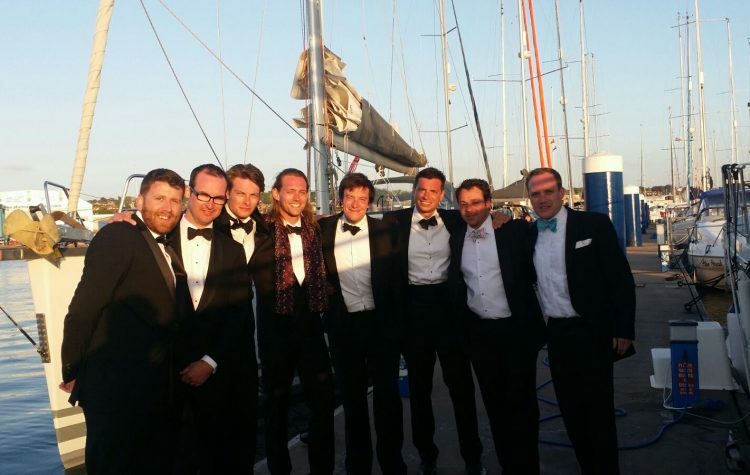 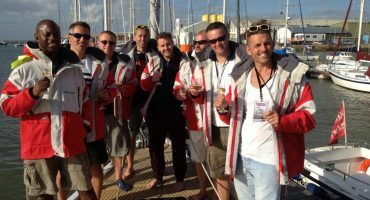 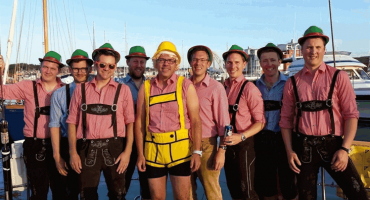 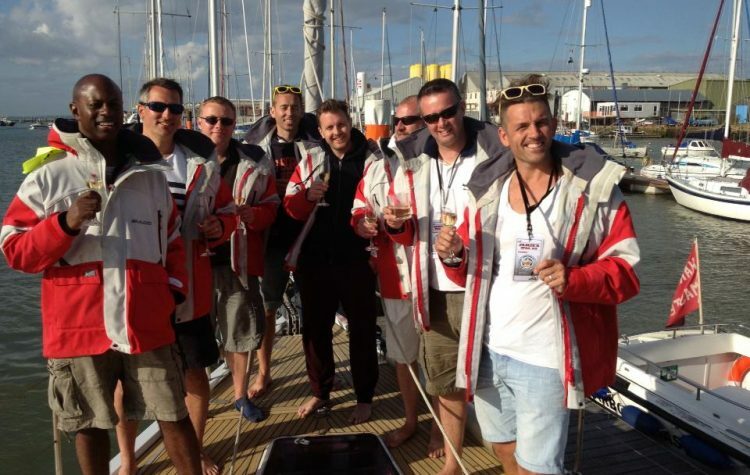 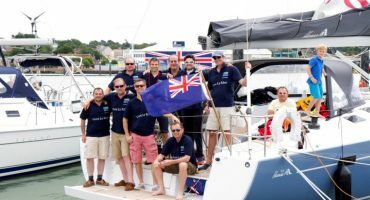 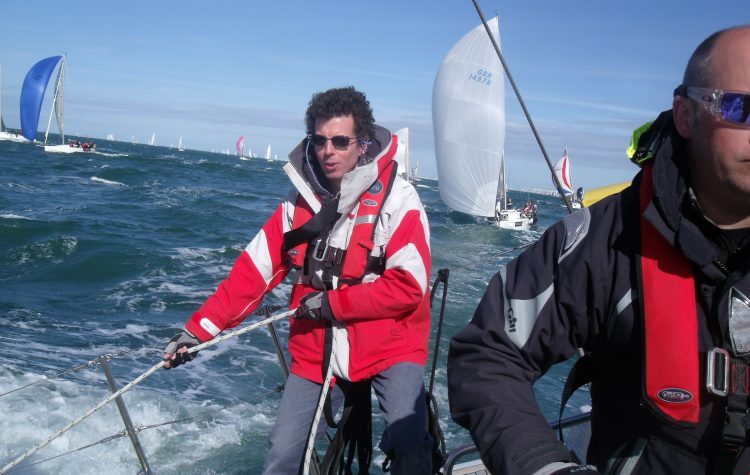 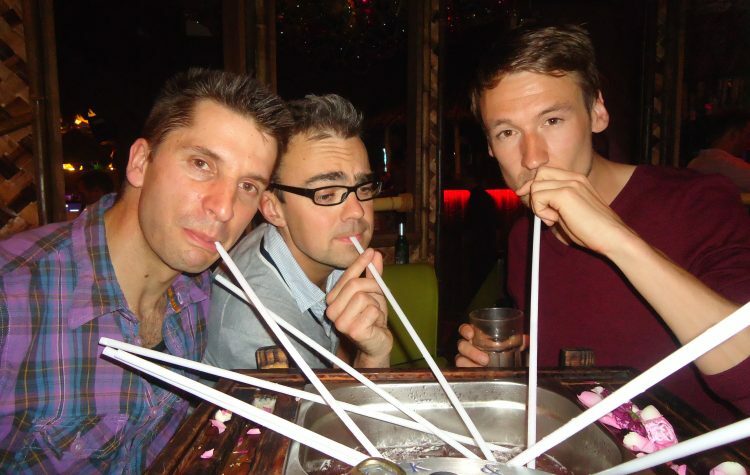 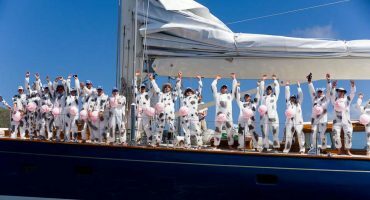 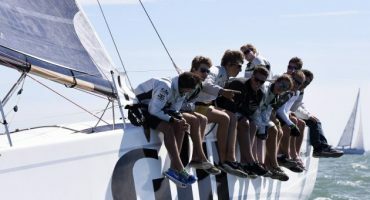 Take part in the ultimate yacht race to ensure that you and the lads enjoy the ultimate stag do. 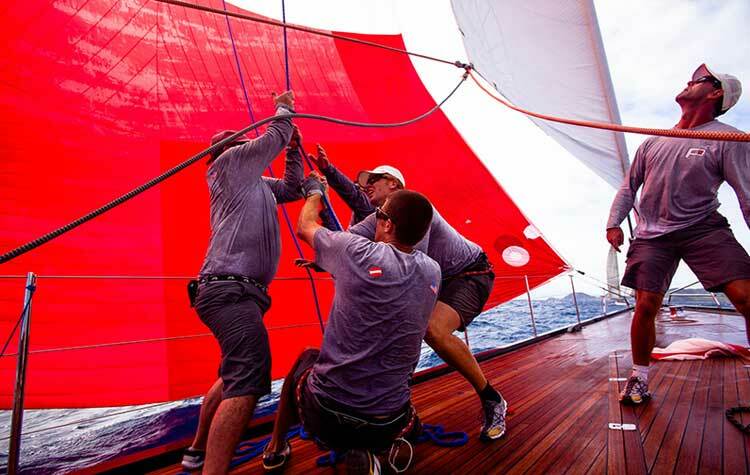 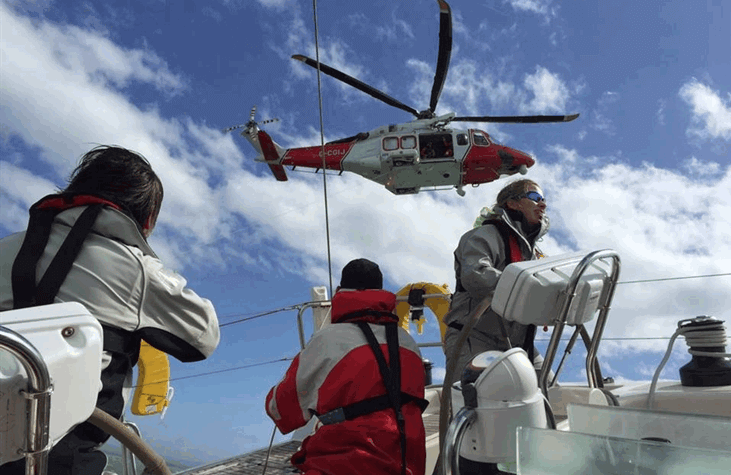 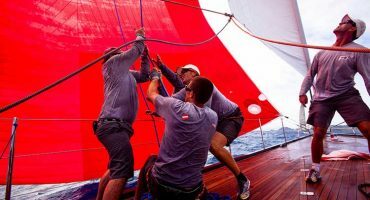 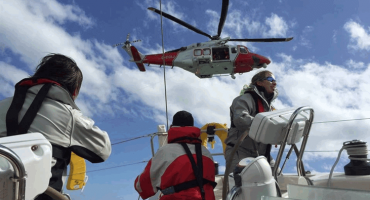 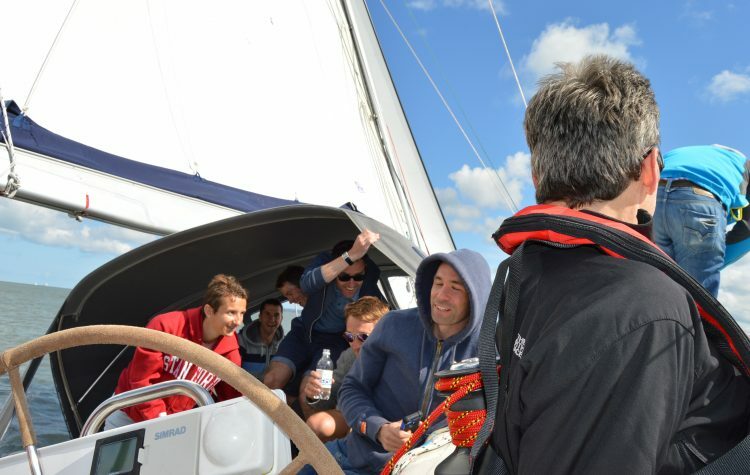 The Fastnet race isn’t one for the faint hearted, but the rewards are truly incredible. 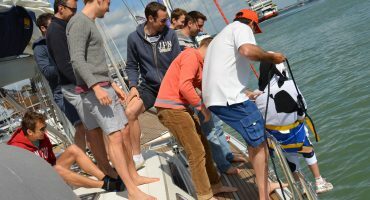 Sign your stags up for the ultimate bonding experience complete with extensive training and expert advice. 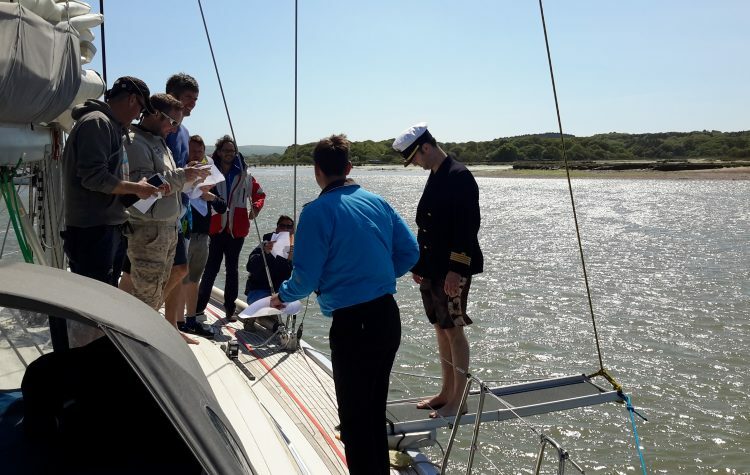 After dropping off your bags & getting settled into your cabin it’s time for a safety brief before setting off for Cowes Yacht Haven on the Isle of Wight. 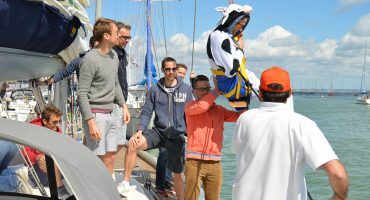 Cowes is the heart of the yachting scene and in summer it’s absolutely buzzing. 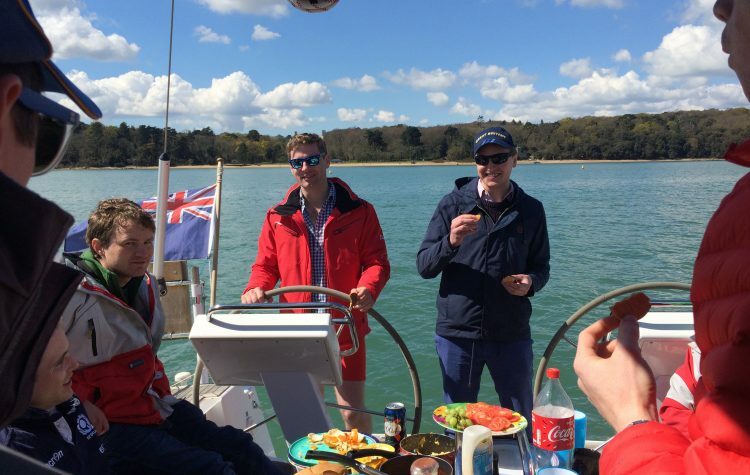 If you want to follow in the royal’s footsteps, why not head to The Anchor pub where William and Harry’s Stag Do spent the evening listening to live music and playing pool. 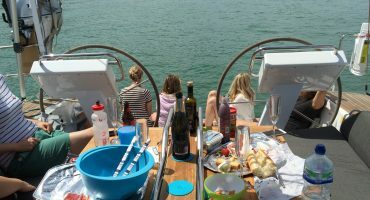 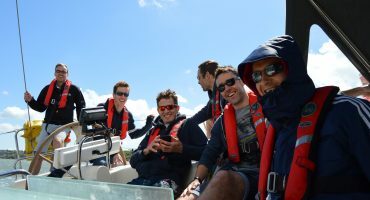 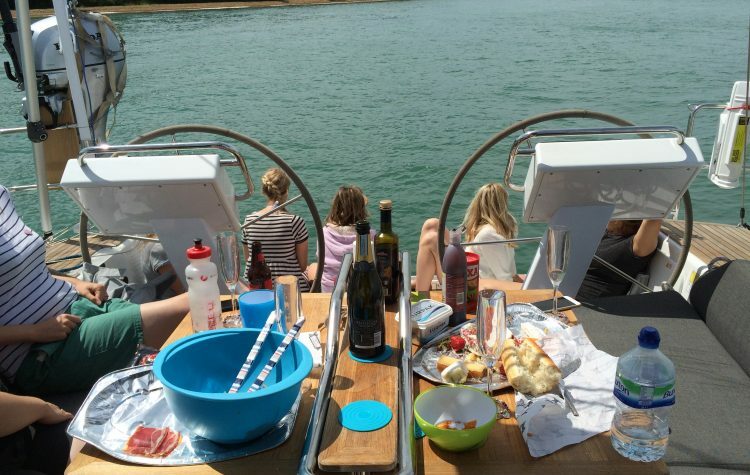 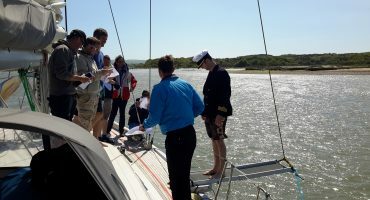 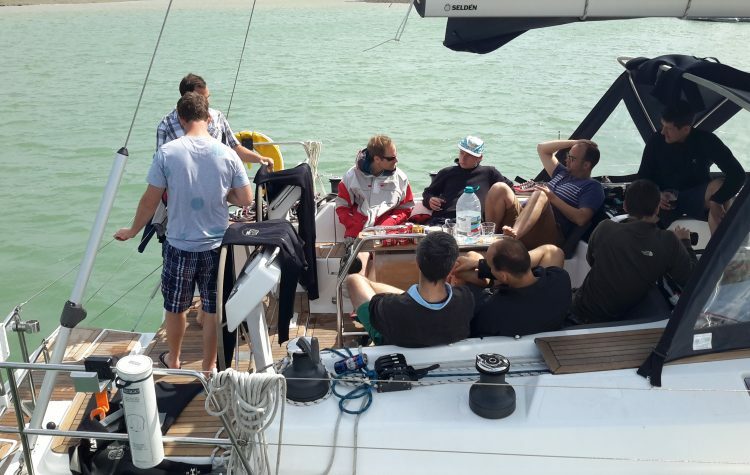 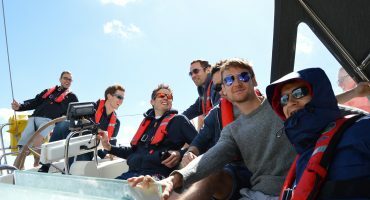 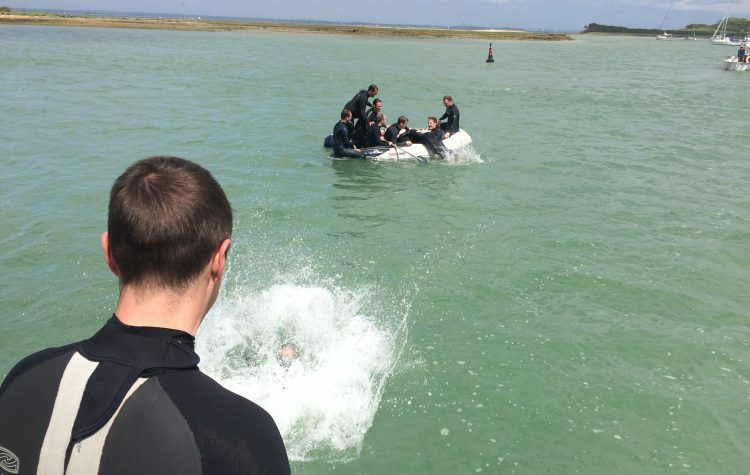 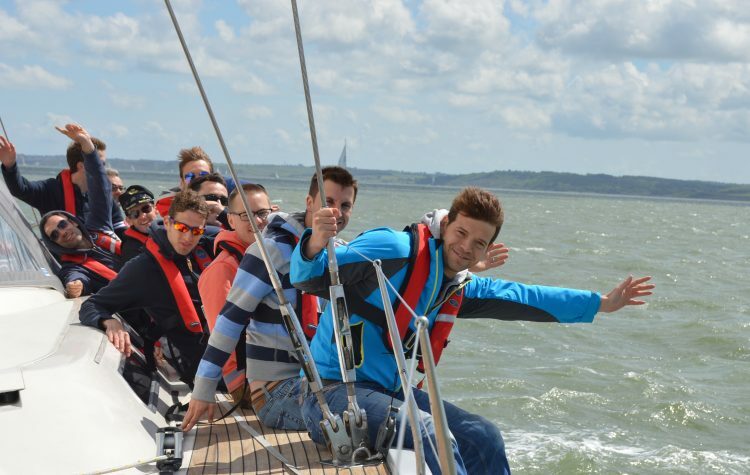 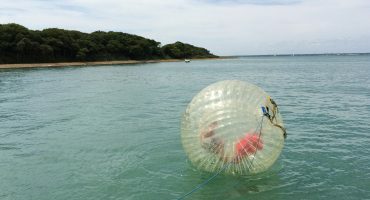 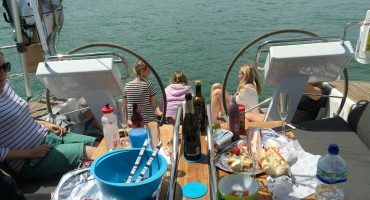 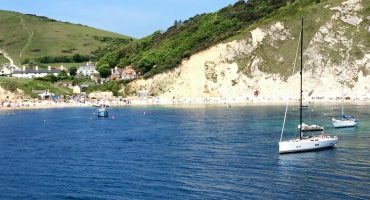 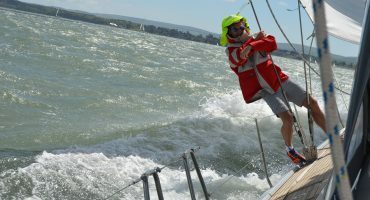 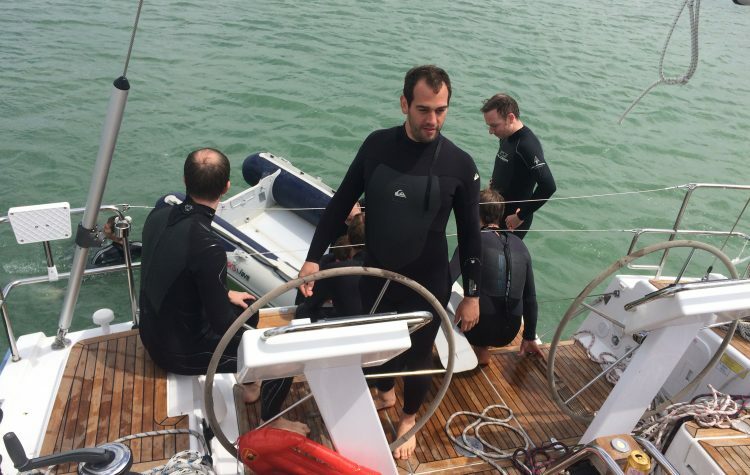 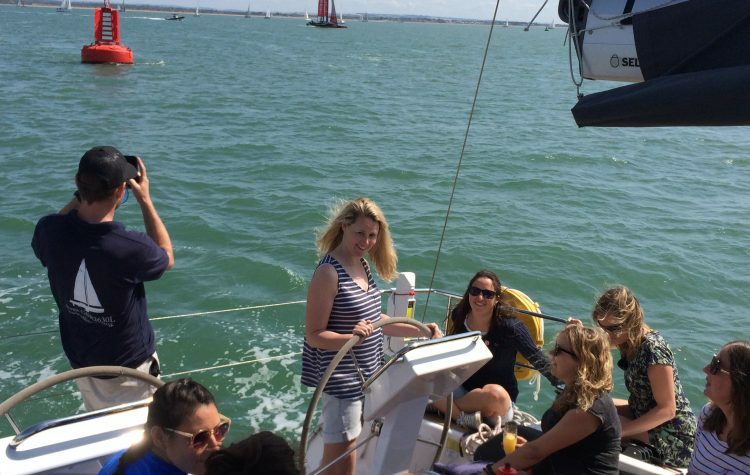 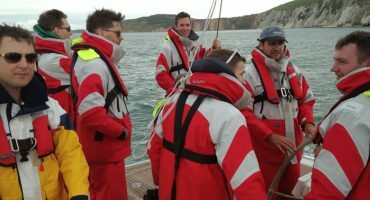 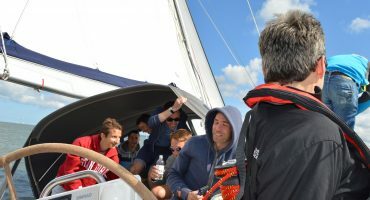 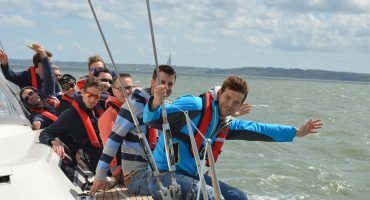 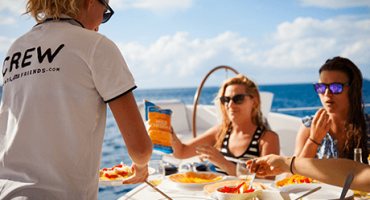 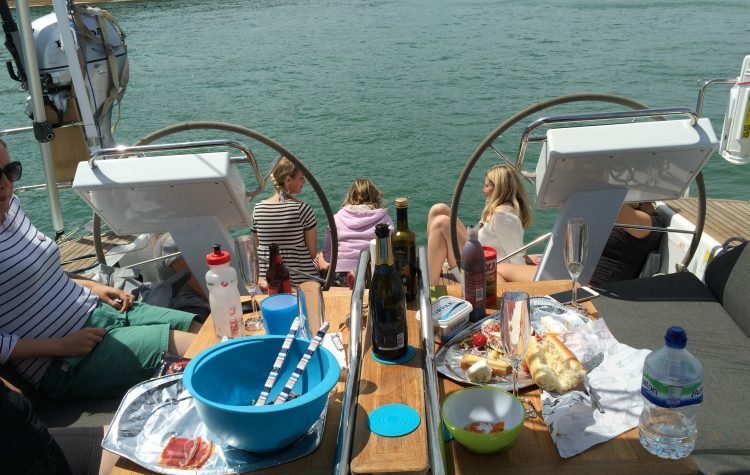 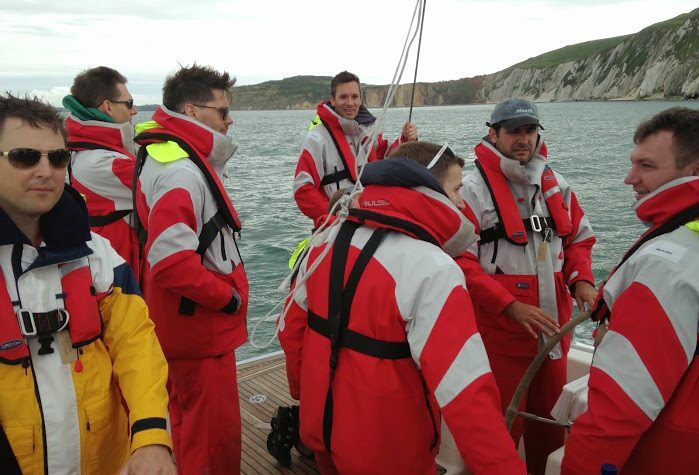 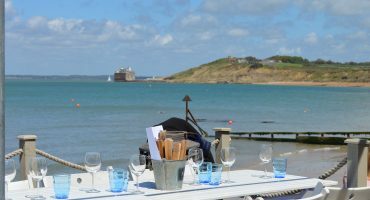 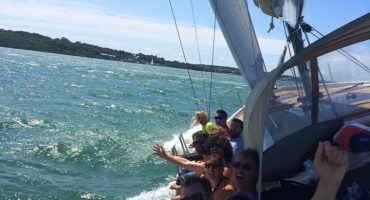 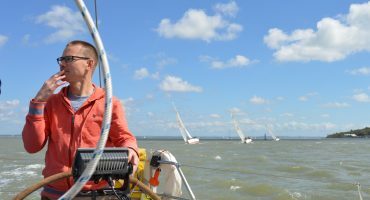 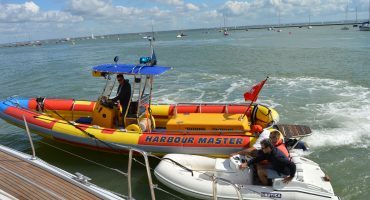 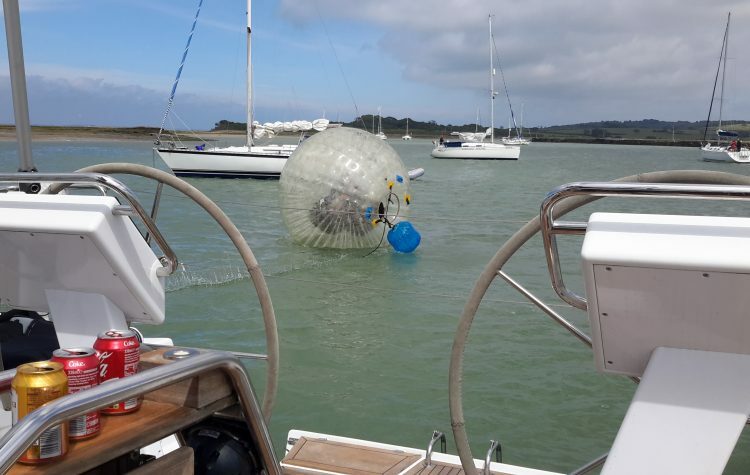 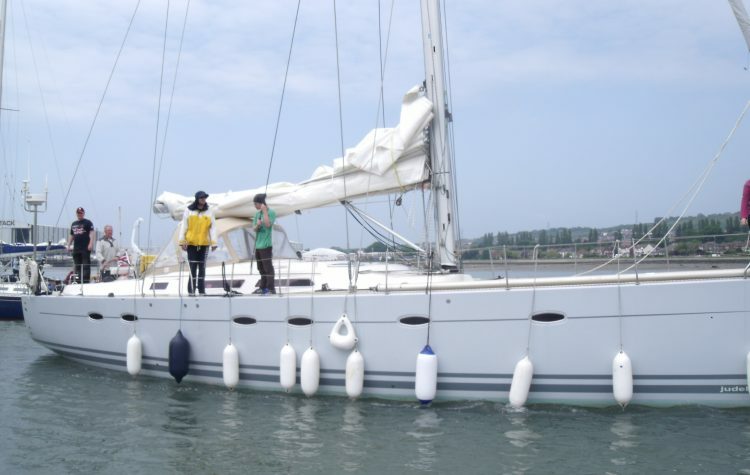 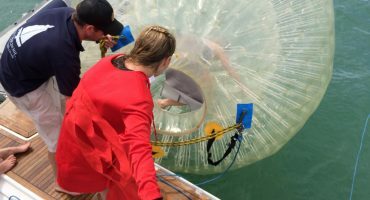 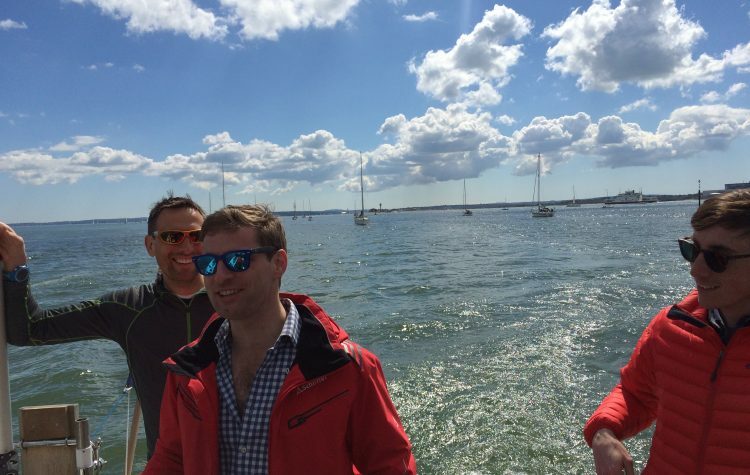 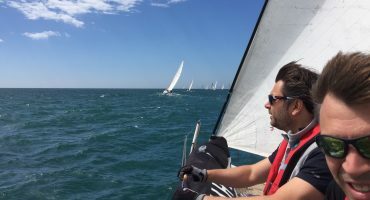 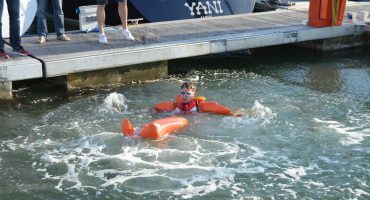 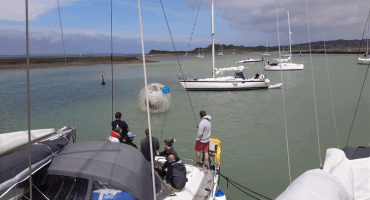 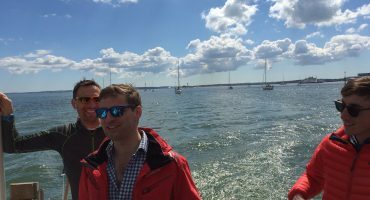 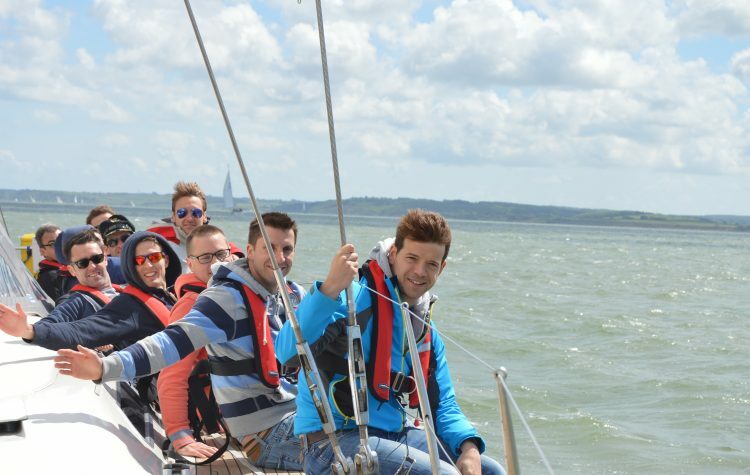 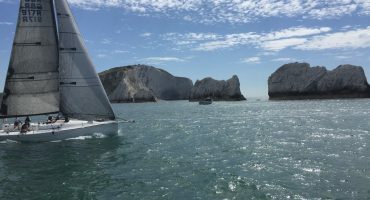 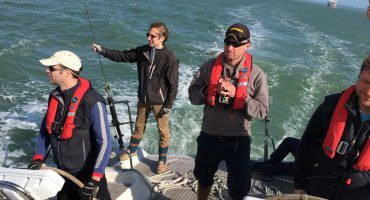 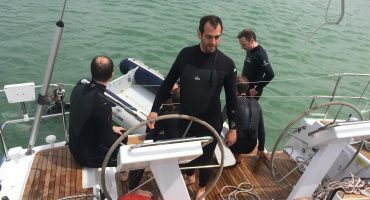 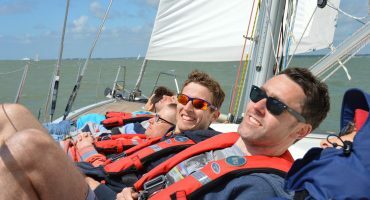 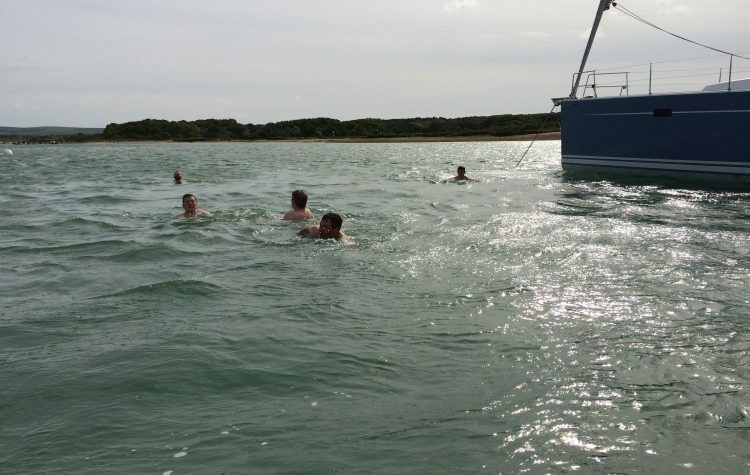 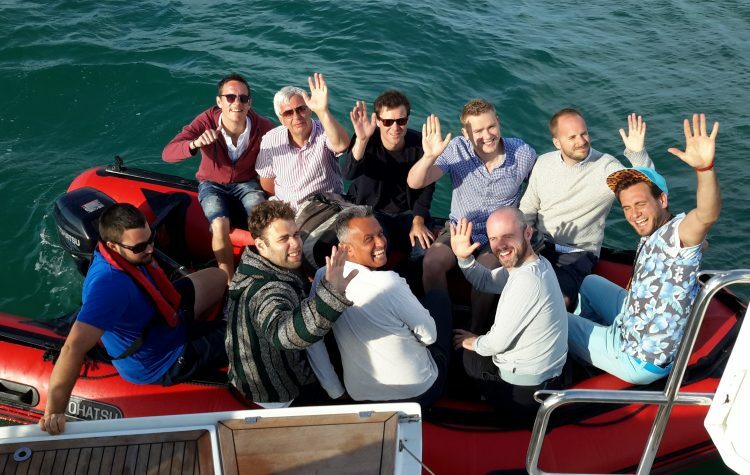 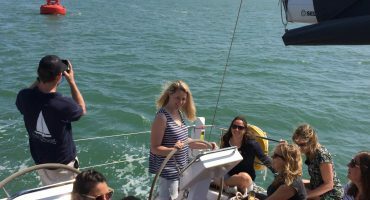 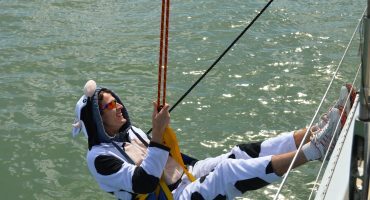 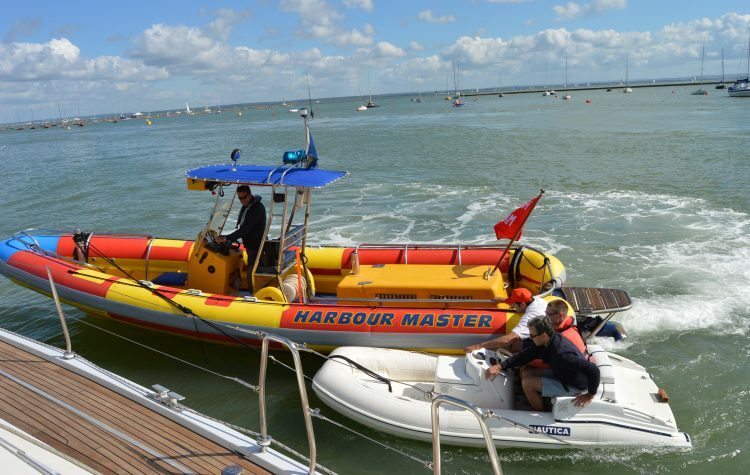 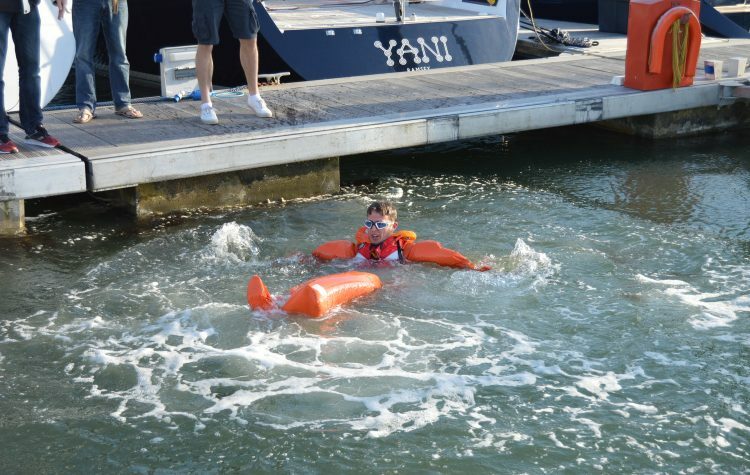 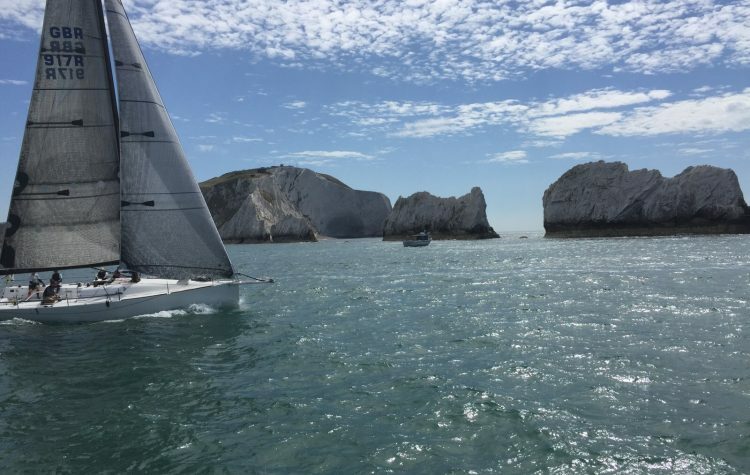 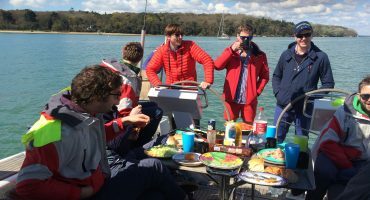 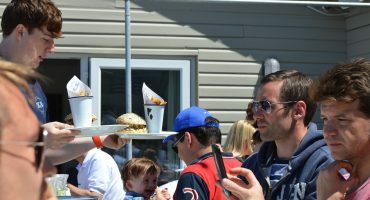 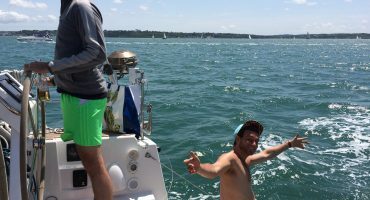 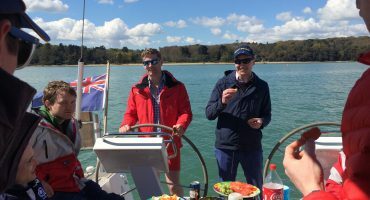 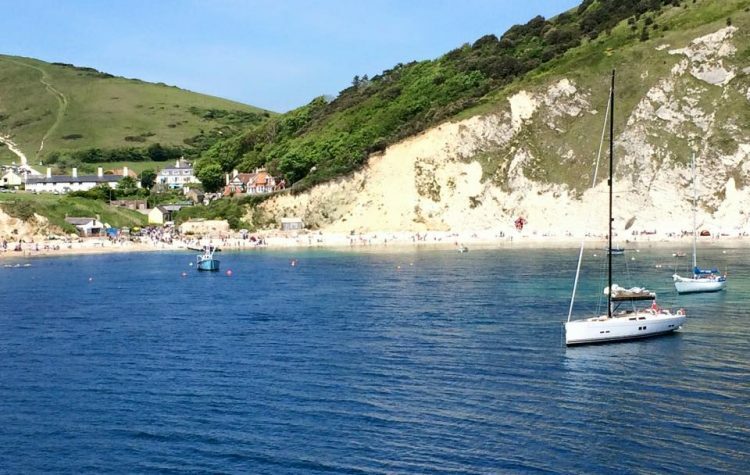 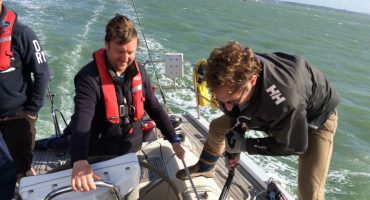 Wake up the next morning and be prepared for a fun packed day aboard your yacht with exhilarating sailing, swimming, music, RIB rides, abseiling and general thrills & spills as we run down the Solent to anchor off the Needles rocks in Alum Bay for a BBQ lunch. 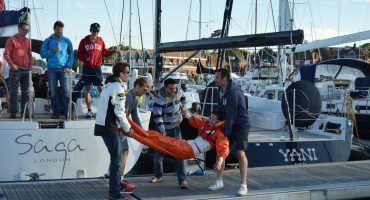 This is all just the pre amble to the main event, however as we moor in Yarmouth marina in the afternoon before heading into the town for some drinks at the yacht club. 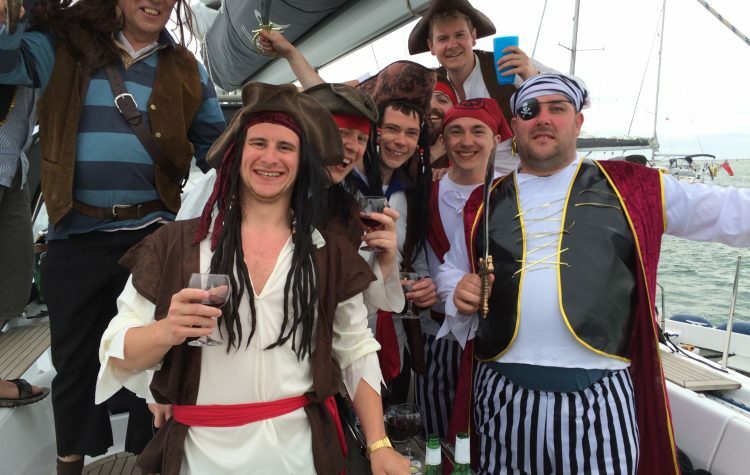 Head back to your yacht to prepare for the evening and dress into costumes for pre evening photo opportunity! 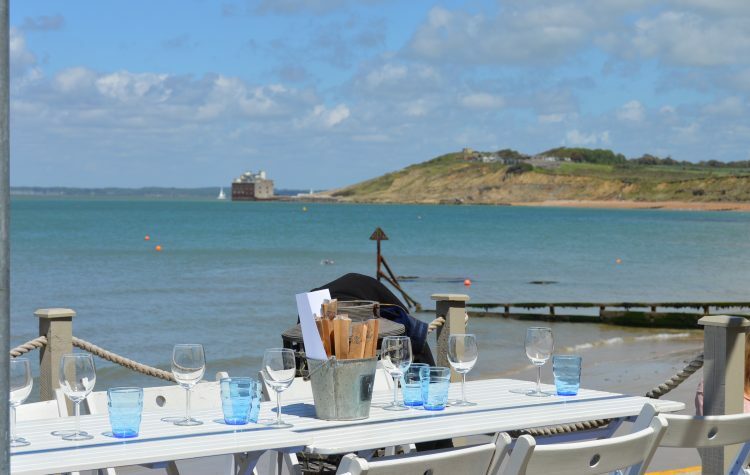 It’s off to The Hut for local cuisine on the beachfront at Colwell Bay, a stunning location on the beach with a party atmosphere and an amazing sunset to boot. 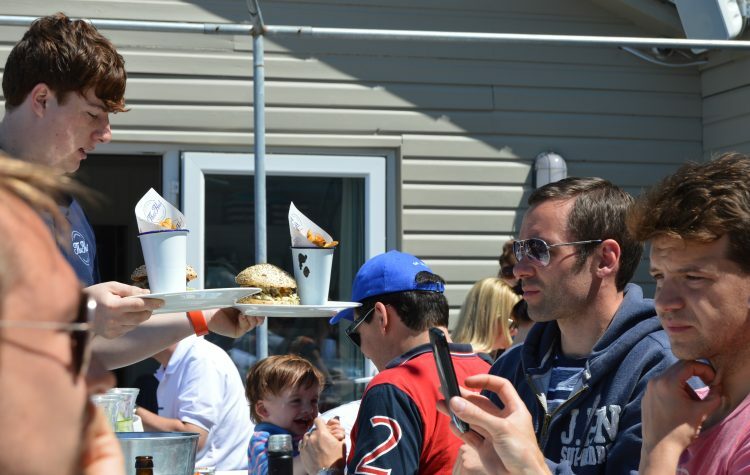 Try the Dark & Stormy cocktail jugs (Rum & Ginger Ale ) with the fresh local lobster! 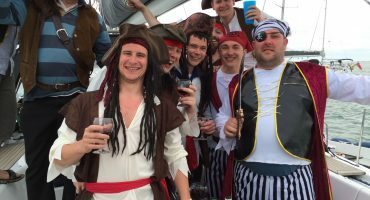 Then it’s back to central Yarmouth for dancing on the tables Salty’s bar, listed as one of the top five stag and hen party destinations in the UK. 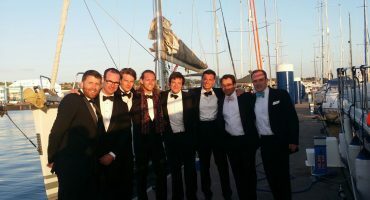 Finish the night off back at the yacht for the after party celebrations. 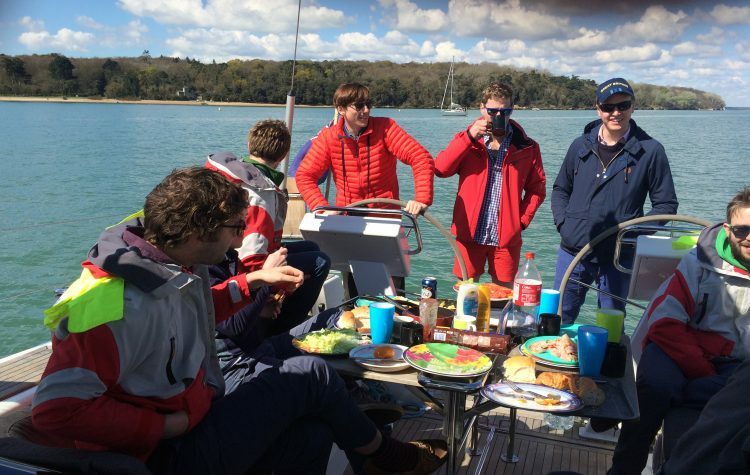 On Sunday, we take a slightly more chilled approach as we take the yacht to the idyllic Newtown Creek nature reserve with a BBQ lunch before heading back home, though not before we’ve stitched up the Stag by pulling him up the 22 metre mast and dragging him behind the yacht in the bosuns chair… what a weekend to remember!